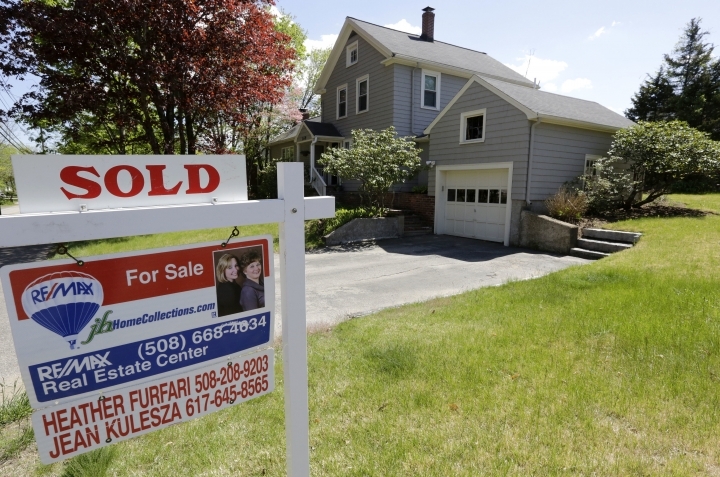 WASHINGTON — The National Association of Realtors reports on July sales of existing homes Wednesday at 10 a.m. Eastern. SALES DIP: Economists expect that sales fell 1.3 percent to a seasonally adjusted annual rate of 5.51 million, according to a survey by the data firm FactSet. That would be a pullback from June's 1.1 gain percent gain to a rate of 5.57 million, the highest level since February 2007. LIMITED SUPPLIES: Fewer existing homes are coming onto the market this year, creating a potential ceiling for sales growth as homebuilders struggle to keep up with demand for new homes. The number of listings has fallen 5.8 percent from a year ago to 2.12 million. Low mortgage and unemployment rates are bringing even more would-be buyers into the market, which could drive home prices, already on the rise, out of reach for many of them. The median home sales price for existing homes reached $247,700 in June, up 4.8 percent from a year ago. The increase was roughly double the pace of average hourly wage gains. That has created more financial headwinds for Americans still rebuilding equity lost after the housing bubble almost a decade ago. Builders are attempting get more homes on the market. Sales of new homes climbed 12.4 percent last month to a seasonally adjusted rate of 654,000 annual units, the strongest level since October 2007, the Commerce Department said Tuesday. Yet demand has eclipsed even that surge. Just 4.3 months' supply of new homes is available on the market, down from 5.2 months a year ago. One thing that would-be buyers have in their favor, in addition to the improved landscape for jobs, is those near record-low mortgage rates. Mortgage buyer Freddie Mac said the average 30-year fixed-rate mortgage fell to 3.43 percent last week from 3.98 percent a year ago. The average rate has historically been closer to six percent.